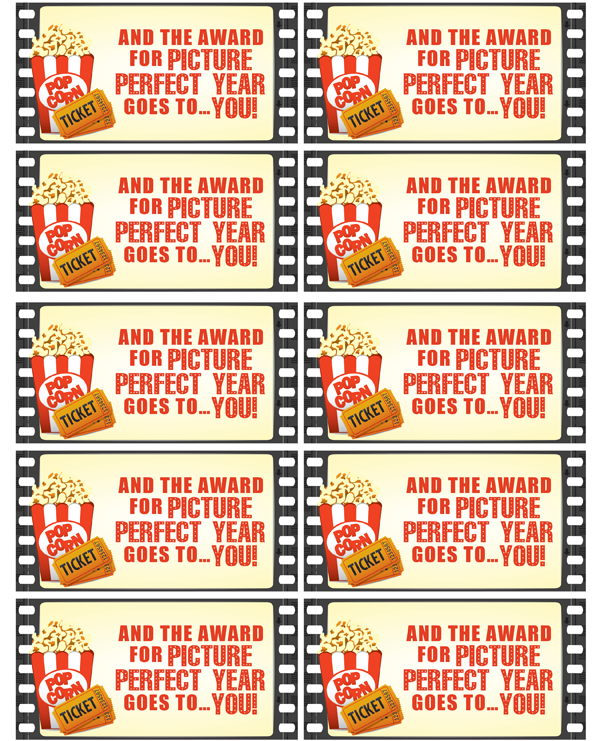 Movie Night Teacher Gift! 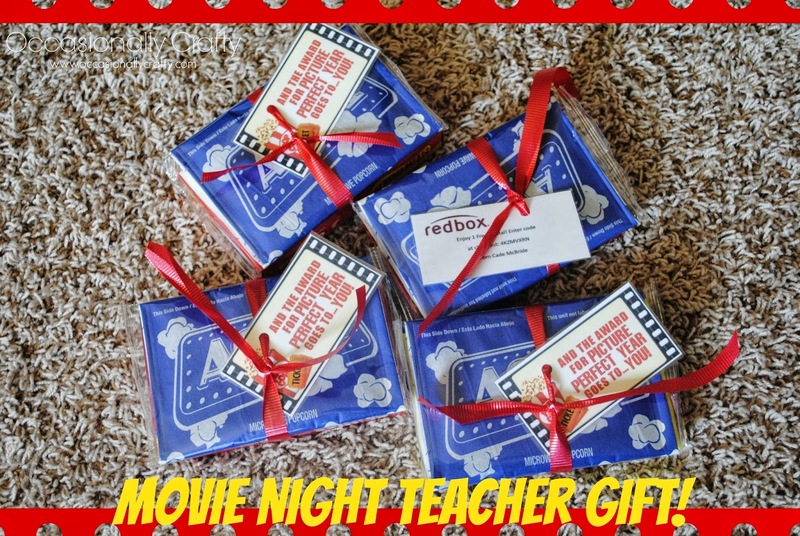 | Occasionally Crafty: Movie Night Teacher Gift! 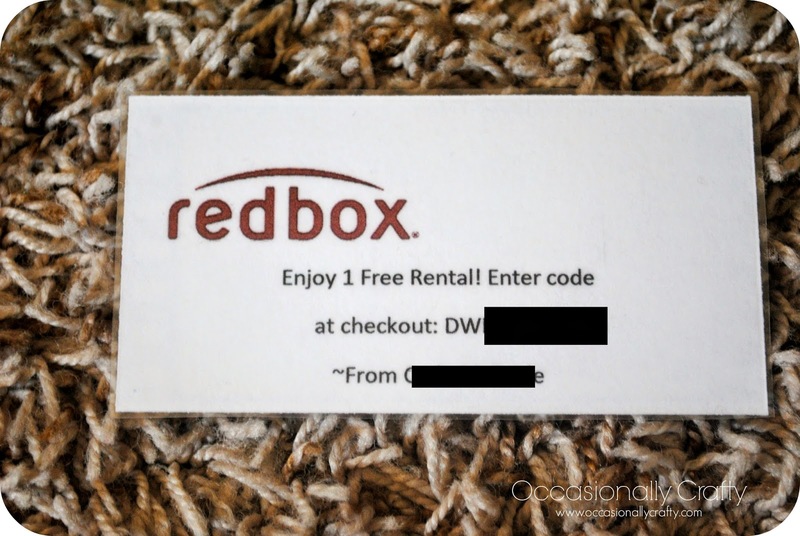 And then added a Redbox rental code on the back! If you go to redbox.com and click on 'gifts', there's an area at the bottom to purchase a bundle of rental codes. We had 10 teachers so I picked 10 codes for $12. (I figured even if we don't use them all, I will use the codes!) I emailed the codes to myself and then carefully copied them onto my document that I was going to print out for the gift tags. I also used my laminator to make it more sturdy and gift card-like. 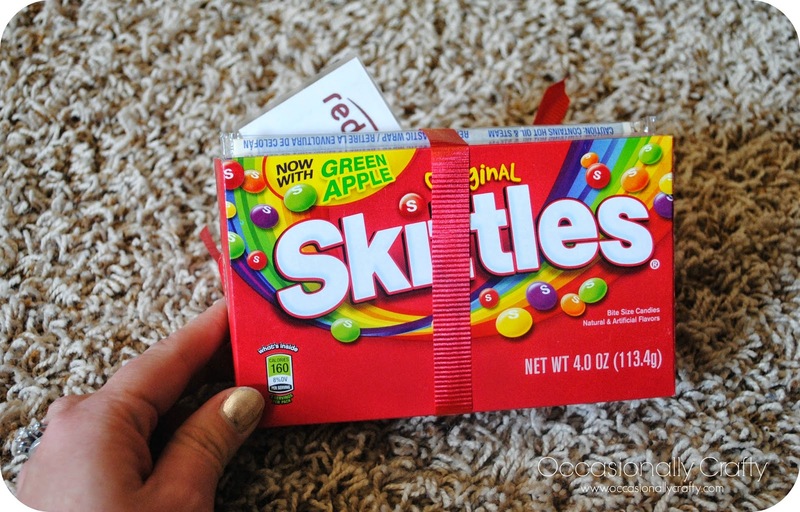 I added a pack of microwave popcorn, a box of candy, and some ribbon to come up with a very economical gift for the teachers! I hope they will enjoy it. What are you doing for teachers this year? Share your ideas with us on Facebook or comment below! I love this idea, Laura! The last day of school is tomorrow, and I'm sitting at the computer creating something to give in the morning. Wish I had seen this earlier! Pinned for next year.